Mobile messaging that's built for business: instant, secure, and keeps everyone accountable. "Middle of the road messaging app"
I like that it has a desktop AND a mobile version. Also great to who has seen your message and who has not. Not enough customizations available. I would like to be able to change the view options. For example, one line to see more messages at once, vs. 3 lines. Team communication, but only as good as those that use it! 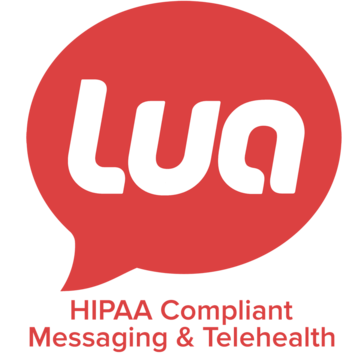 "Lua for internal messaging and quick response"
What HIPAA Compliant Messaging solution do you use? Lua is a very smooth app. It handles lots of communication tools for local and remote teams - file uploads, mobile syncing, fast connections, great UI. This app could almost replace slack in most companies - especially is you need to hook into Medical tooling. Connections to many of the major file shares is nice. This tool is not as customizable as Slack - integrations are hard to build. It is also tailored more for Sales/Business/Medical, where as I am in a gaming and media company. This may not be the proper tool for me, but it is still a pretty decent one. If you are looking to have a great chat, collaboration, file sharing tool and are in sales or health fields, this is the tool for you! Take a look, give it a try and get to know everything it has to offer. Communication and file sharing is a big thing with remote developers and offsite clients. We wanted to find an affordable and easy to use tool to solve this. While this wasn't a perfect fit, it was still a great experience and made us evaluate other tools with a grain of salt. Lua is a great tool. Easy to learn and not a lot of confusing pieces; instrumental in program development. Difficult to use with C++ and other program languages has some compatibility flaws. Had to research fixes in various tech forums. Very structured program language that when implemented properly has a solid impact on application creation. * We monitor all Lua reviews to prevent fraudulent reviews and keep review quality high. We do not post reviews by company employees or direct competitors. Validated reviews require the user to submit a screenshot of the product containing their user ID, in order to verify a user is an actual user of the product. Hi there! Are you looking to implement a solution like Lua?